The go-to pizza shop of mall food courts across the country started as a small Italian grocery in Brooklyn run under the strict eye of "Mama" Sbarro. Read on for 10 facts about the company Michael Scott once called his "favorite New York pizza joint." 1. FOUNDER CARMELA "MAMA" SBARRO USED SEWING MONEY TO OPEN THE FIRST SBARRO. Carmela grew up in Italy working in a Naples butcher shop. In 1956, she moved her husband, Gennaro, and three sons to Brooklyn; Gennaro and two of the boys went to work in local Italian shops. Mama, with needle and thread in hand, saved the money she made sewing doll's clothes in order to open their own "salumeria"—an Italian grocery store. 2. THE FIRST SBARRO DIDN’T SELL PIZZA. Mama Sbarro used her knowledge of Italian meats and cheeses to open her own Italian grocery store that sold fresh prosciutto, cured meats, and smoked mozzarella in the Bensonhurst neighborhood of Brooklyn in 1956. Eventually, the deli and hot foods section of the store took over and Sbarro added pizza to their menu. 3. MAMA WORKED IN THE ORIGINAL STORE FROM THE DAY IT OPENED TO THE DAY IT CLOSED. Regulars in the neighborhood remember Mama Sbarro as a force to be reckoned with when she was behind the counter, serving chicken parmigiana and cheesecake in high heels. She wanted things done the right way—in particular, customers knew never to ask for ketchup or mayonnaise on a prosciutto sandwich. "I don’t do that," she would say. "You want mayonnaise on your sandwich, go somewhere else." The original location closed in 2004 when Mama was unable to continue running the kitchen due to health issues. 4. THE CHEESECAKES ARE STILL HER ORIGINAL RECIPE. Mama Sbarro personally made every cheesecake sold at all Sbarro stores until the demand became too much and her son convinced her to get a supplier. She eventually agreed, but the baking of nearly 1000 cheesecakes every week was always completed under Mama’s watchful eye. 5. THE COMPANY’S BIG BREAK WAS AT A MALL IN BROOKLYN. In the early days of the food court, hungry shoppers were given mainly the option of snack foods—pretzels, ices, cookies—when they were shopping. When the Sbarros went to the food court of the King’s Plaza Shopping Center in Brooklyn, they saw a bunch of hungry shoppers who looked like, to the Sbarros, people who could use some pizza. The family went to work developing a food court-concept for their store and started opening stores in malls, airports, universities, movies theaters, and toll road shopping plazas. 6. THERE IS A SBARRO LOCATION IN THE PENTAGON. Today, there are 800 Sbarro locations across 33 countries, including the concessions of the headquarters of the U.S. Department of Defense. Pizza lovers in India, Turkey, and Jerusalem are also able to get their own New York slice. 7. 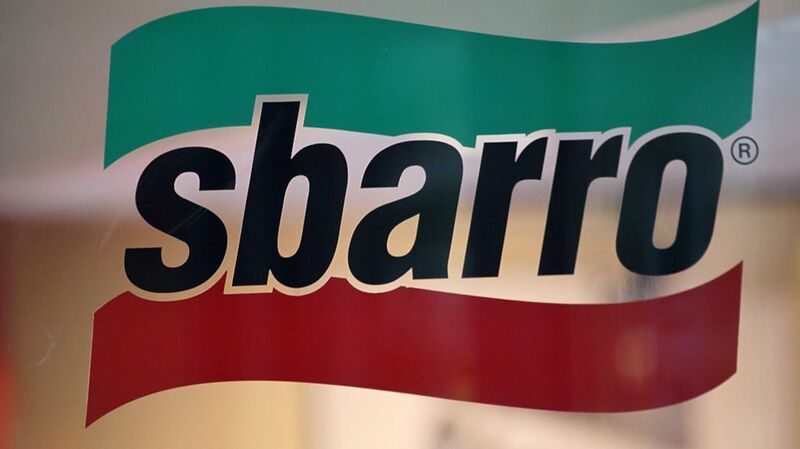 THE SBARRO FAMILY IS NO LONGER INVOLVED WITH THE COMPANY. Sbarro launched into the American pizza game by tying itself to the shopping mall, which also means that the company’s successes and failures are closely tied to those of shopping malls. In 2006, the company was bought from the founding family by a private equity firm, and just five years later Sbarro filed its first Chapter 11 bankruptcy. The company emerged but it still trying to put itself back fully on its feet. Sbarro is now owned by two private investment firms and current CEO David Karam. 8. SBARRO STARTED DELIVERING THEIR PIZZA IN 2015. Unfortunately, though, only to those who live in the delivery zone of their first free-standing store in Columbus, Ohio. Adding delivery was one of many steps the company took to rebrand itself after a second round of money issues that led to the closing of 155 of its 400 locations in North America. Sbarro also updated their logo and changed their marketing to a "pizza-centric" focus that emphasizes on the quality of their ingredients and the history of the Sbarro family. 9. SBARRO IS LOOKING TO GRAB A PIECE OF THE FAST CASUAL PIE. Sbarro launched its first sit-down made-to-order restaurant in Columbus, Ohio in 2013. Cucinova features a Chipotle-style menu that allows diners to create their own salads, pastas, and Neapolitan pizzas cooked in a woodfire oven. The company hopes to grab the attention of trendy, food-minded millennials who might not even know that they’re eating in a Sbarro brand restaurant.